Click on the line above to learn more about them. To see Orval's memorial page click here. To see Dorothy's memorial page click here. Also, these pages are dedicated to Dr. Josef Francel (1924 - 2001). Josef had Alzheimer's for a year and a half before he died. He was a brilliant research engineer and graduate of M.I.T. After retirement he was a lay pastor for over 10 years. and six other remarkable children. To see two obituaries describing his remarkable life click here. To see his memorial page click here. These two organizations are a good place to start. Here are a number of articles I have read over the last few years that may have some helpful information. Sadly, there is no cure or proved prevention for Alzheimer's at the present. 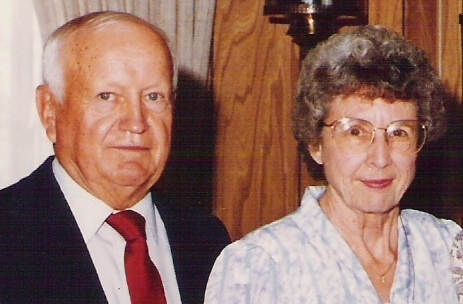 My parents took several Alzheimer's medications, but we really couldn't tell they helped. Hopefully, some more effective ones will be available soon. I will continue to add links to articles that look interesting or hopeful for the future. I have decided to add a few other forms of dementia in my links below. Binswanger's Disease, a type of dementia - A classmate of mine from high school had this condition and passed away recently. Can changes in the eyes help diagnose Alzheimer's disease? Can You 'Catch' Alzheimer's Disease? Can You Prevent Dementia Through Nutrition? Cold Sores 'An Alzheimer's Risk'? Eight Ways to Prevent Alzheimer's Disease from Prevention. Some or all of these may help. Low Zinc: Cause of Alzheimer's? Worried about Dementia? Learn a second language. Study in the journal Neurology, November 6, 2013.